Chinese politician Bo Xilai will go on trial on Thursday, August 22, being charged with bribery, corruption and abuse of power, according to state media. Bo Xilai, formerly the Communist Party chief of Chongqing, was expelled from the party after a scandal surrounding the murder of a British businessman. His wife Gu Kailai was jailed last August for the killing of Neil Heywood. The Bo Xilai scandal rocked China with claims of corruption at the top of the Communist Party. 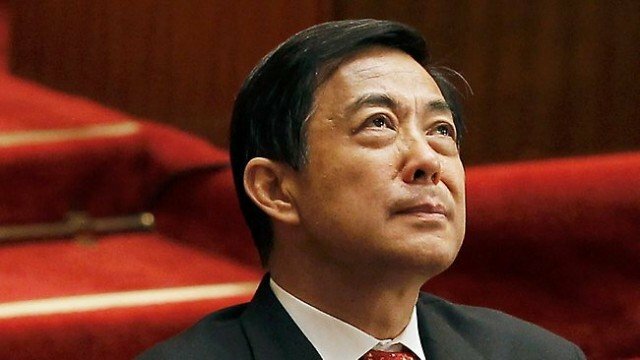 Bo Xilai has been accused of taking advantage of his office to accept money and property, as well as embezzling public money. The trial will start on Thursday morning at the Intermediate People’s Court in the eastern city of Jinan, Shandong province, state-run news agency Xinhua said. Correspondents say it is common for high-profile political trials to take place away from their home province to stop them getting beneficial treatment. The trial date comes amid a high-profile crackdown on corruption. Xinhua news agency also reported on Sunday that Liu Tienan, a former top Communist Party economic official, has been placed under investigation for suspected bribe taking. Bo Xilai’s fall began in February 2012, when his former chief of police in Chongqing, Wang Lijun, briefly fled to the US consulate in Chengdu. Wang Lijun, who has since been jailed for 15 years, triggered an investigation into the murder of UK businessman Neil Heywood. Gu Kailai has been convicted and given a suspended death sentence for Neil Heywood’s death. Bo Xilai was suspected of trying to cover up the murder, and was stripped of his party positions.